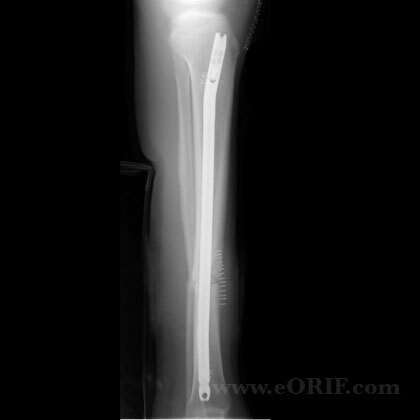 26y/o male sustained tranvserve tibial shaft fracture at the same level as the fibula fracture. 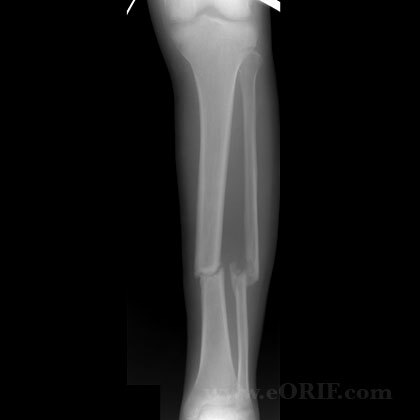 Initially treated with long leg casting. 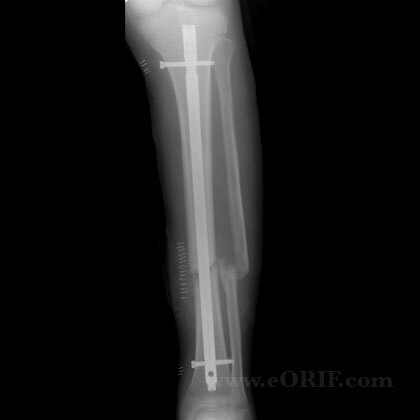 4 months after initial injured he had gross motion at the fracture site. Knee ROM or 10-25° . A/P view 4 months after injury. 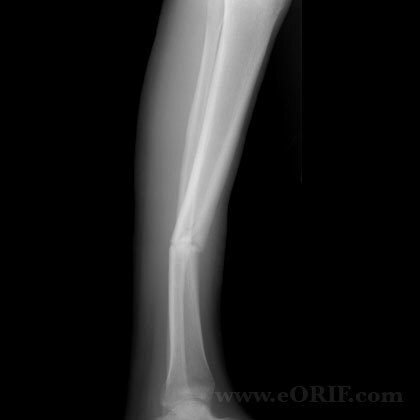 Lateral view 4 months after injury. Treated with reamed IM nail and knee manipulation.